Only used in smoke free studio. Chandler Limited TG Channel MKII. 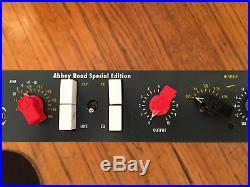 Is a recreation of several classic EMI circuits. 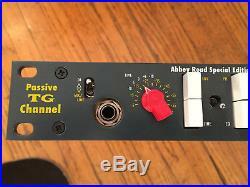 It combines a TG2 pre amp section with an equilizer that was adapted from a circuit in the TG12410 Transfer console. This console was the mastering counterpart to the original "Beatles desks" installed at Abbey Road. The active portions of the unit use the same discrete amplifiers and transformers as in the TG1 Limiter and TG2 pre amp. The passive equalizer portion of the EQ is an all inductor design and offers sweet high frequencies with large inductor based lows, and a very high"Q" mid cut section. Although not designed as such, due to its passive inductor design the unit will inevitably draw comparisons to the Pultec EQP-1a3, a very simple description would be to call it an EMI Pultec with an EMI pre amp thrown in. 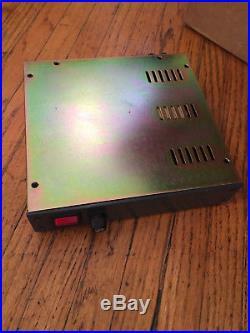 Combines 600ohm mic input and a 10k line input which is selectable with the line switch. The fifteen position switch attenuates mic and line and gives a large range of control for normal and not so normal uses. 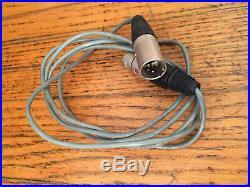 Mic gain -15db to +55dbline gain -25db to +45db. Functioning as a console fader, this control is placed after the input stage and before the out put stage. 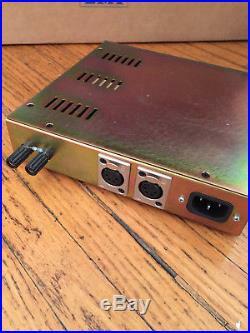 This allows for trimming of ther input signal, as well as allowing the user to run the input very hot (for extra coloration)without distorting the recorder. A high boost control with 18dbof gain and a select switch that combine's shelf and peak settings. Peak characteristic is resistor capacitor based and the peak types are inductor style. 16k, 12k, 8.1k, 6.8k shelf. 5.8 k, 3.9k, 2.2k, 1.8k, 1.2k peak. 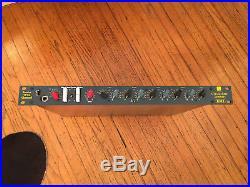 Mid EQ- A mid frequency EQ with 20db of cut with six points set at very sharp "Q". Specially designed to fix problem areas. 300, 400, 800, 1.7k, 3.3k, 6.8k. Low EQ- A low boost control with20db of gain and a select switch that combines shelf and peak settings. 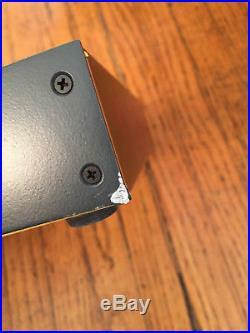 Both peak and shelf characteristics are inductor based. Also, On the peak settings"Q" gets sharper with more boost. 50, 70, 100, 200 peak. 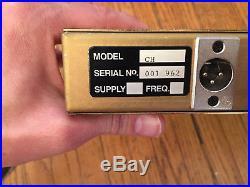 Hi "Q" for mid peak frequencies. 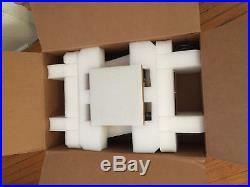 Chandler PSU-1 is needed to power unit. Chandler Limited is the only company in the world authorized to develop, manufacture and market the Official Equipment of EMI/Abbey Road Studios. Abbey Road Studios, EMI, TG and their associated logos are trademarks of EMI (IP) Limited. 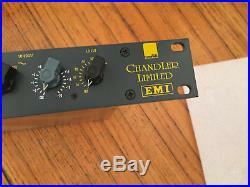 The item "Chandler limited TG channel mk II" is in sale since Sunday, January 28, 2018. 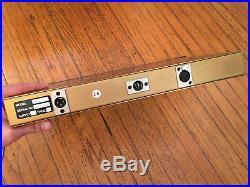 This item is in the category "Musical Instruments & Gear\Pro Audio Equipment\Preamps & Channel Strips". 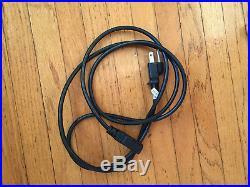 The seller is "willowtreeproducts" and is located in Los Angeles, California.